Tomorrow is National Peanut Day. Got 5 minutes? Got peanuts? Got a food processor? Then you can make peanut butter, my friend. Seriously, this recipe isn't even a recipe. It's like a...hey...take some peanuts...or other nuts...toss em in a food processor. Want salt? Throw some in there. Process. Wait. Watch it turn into a ball. Does it break down and get smooth? Good. No? Put a little bit of oil in there, whatever sort you prefer.Wanna flavor it? Throw whatever the crap you want in there. Want it crunchy? Put some peanuts in there towards the end so there are some little chopped peanut bits in there. Done. End of story. 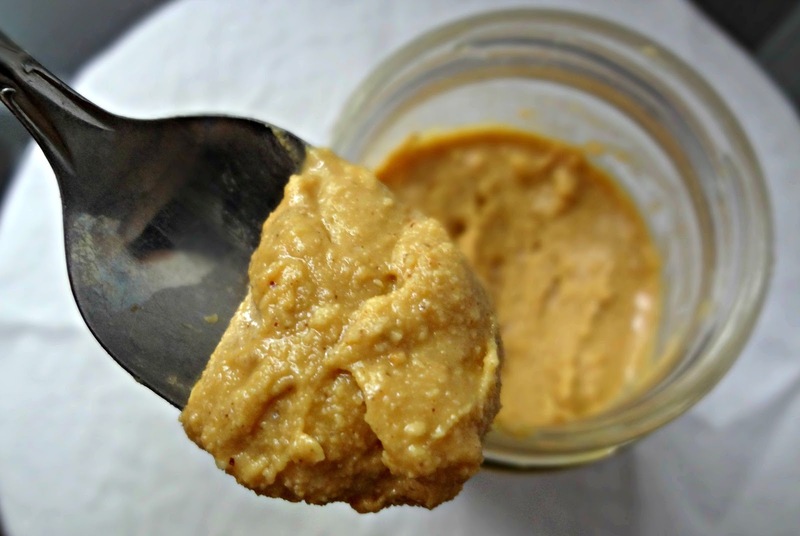 You have amazing homemade peanut butter. It's homemade, unprocessed, all natural, AND (in my case anyway) has no oil separation. I'm obsessed. I am (probably) never buying peanut butter again. From Averie Cooks and various other online sources. 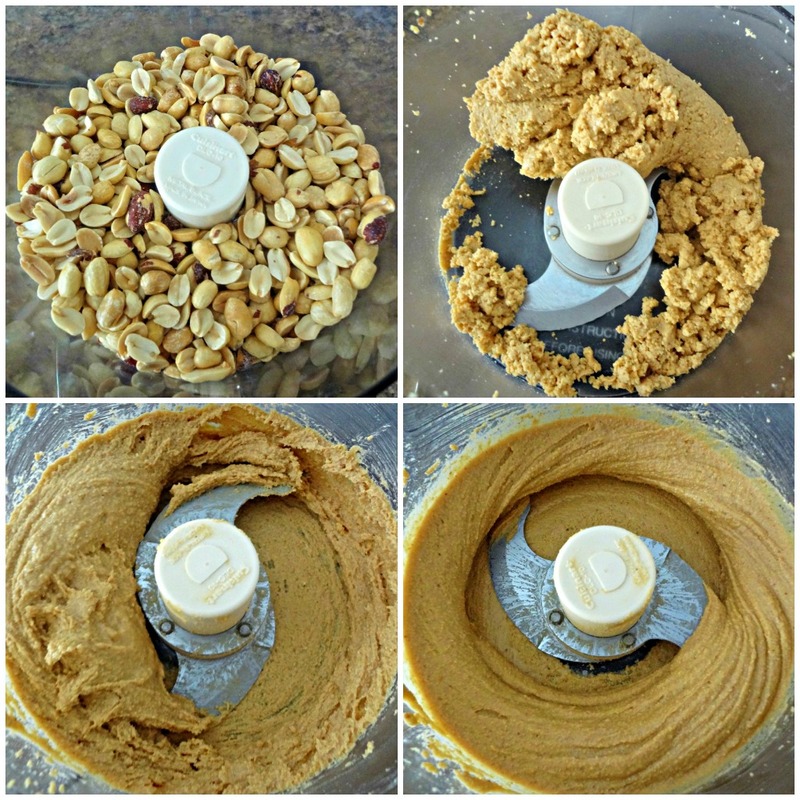 Put nuts in food processor. Process on high. The peanuts will becomes crushed, powdery, a paste, a big dough ball, a gritty paste, and then finally a thinner peanut butter. Scrape down the sides if necessary. Process until it is creamy and reaches desired smoothness. If making crunchy peanut butter, add peanuts towards the end of the process so you end up with tiny pieces of peanuts in the peanut butter. 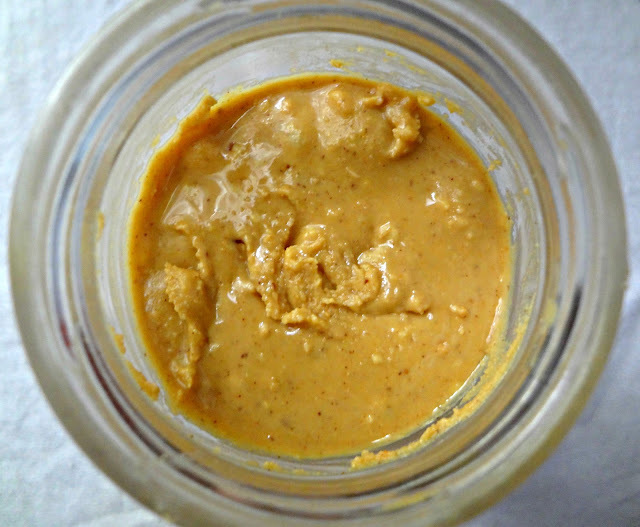 If adding flavorings to pb, also add towards the end. Store in an airtight container or jar. Will keep at room temperature for a week, or in the refrigerator for about a month.